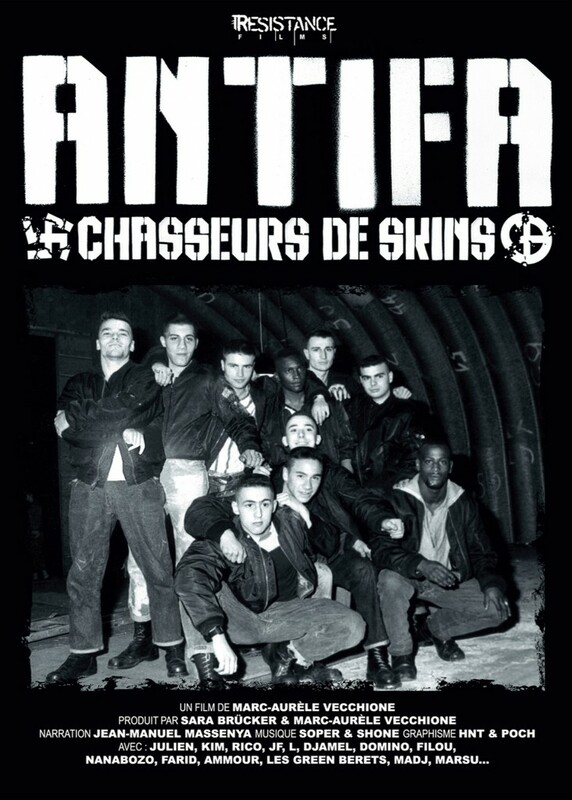 During Paris early 80s, the “Skinhead” movement arrives in France, and is about to defray the chronicle for the decade to follow, with their provocations, attacks and racist crimes. Street gangs will form and react against this assault, in a urban warfare for control of the streets of Paris. They are the Red Warriors, the Ducky Boys and Ruddy Fox. Paris youth will nicknamed them “Skinheads Hunters”. Their motivation: to fight against fascism and racist acts by any means necessary, even turn against their opponents the violence they have suffered. Through exclusive interviews, members of the most recognized gangs return to their history, their commitment and deliver the testimony of the situation of youth street from 20 years ago. Using exceptional archives footages and photographs, “ANTIFA” is a return to the streets of the 80s and the society of that time. The film looks at a pivotal time, in a generation whose ailments were already warning of urban today’s tensions. Resistance Films revealed this story through the documentary, to keep track of a movement never documented.